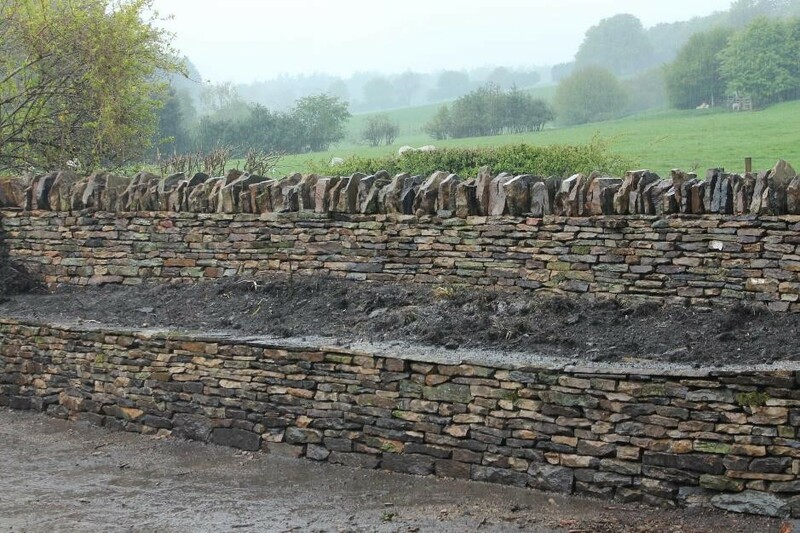 Our company has many years experience working with stone, and over the years has worked all over the country. This page contains some of the more interesting projects that we have undertaken recently, and is quite diverse. Clicking on the icons below will allow you to explore each individual project. If you have a question regarding a project of your own feel free to get in touch using the contact us page or call Vikki on 01226 791071 for free advice. 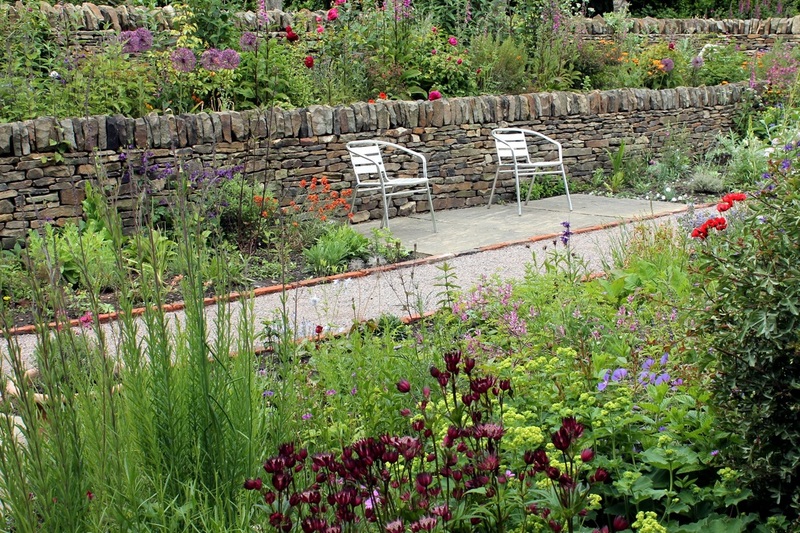 A sloping garden in South-East England that was transformed by a series of retaining dry stone walls and intersected with large staircases of hand riven York stone flags. Built on an existing garden layout, a series of low curving retaining walls and riven stone flag staircases that raise up to an existing patio area. 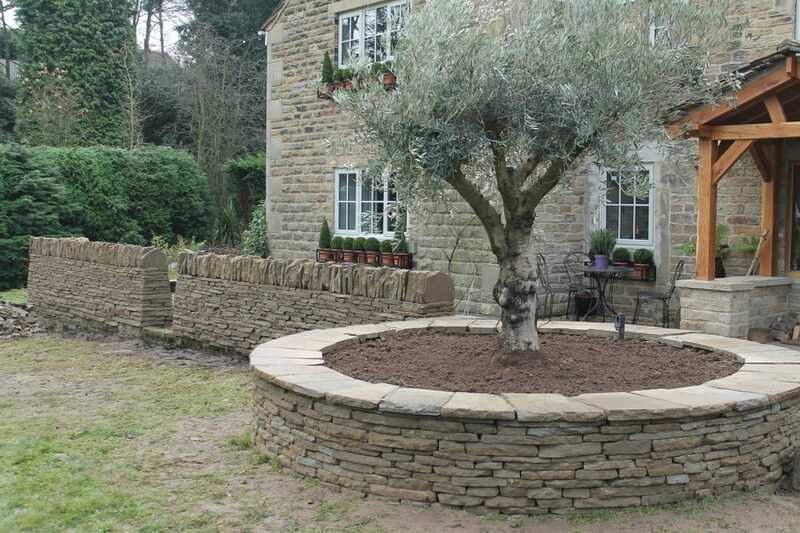 A terraced garden surrounded by curving boundary dry stone walls and dry stone retaining walls with patios and stone seating areas. 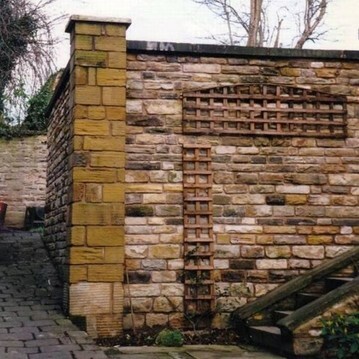 Paths were created using brick from the site for edging. 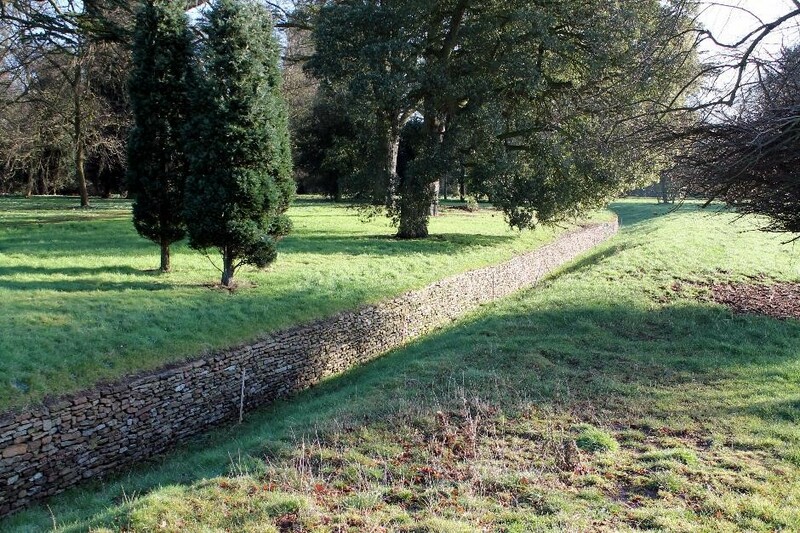 A boundary wall encircling an excavated sunken area with dry stone walls retaining beds on a lower level. 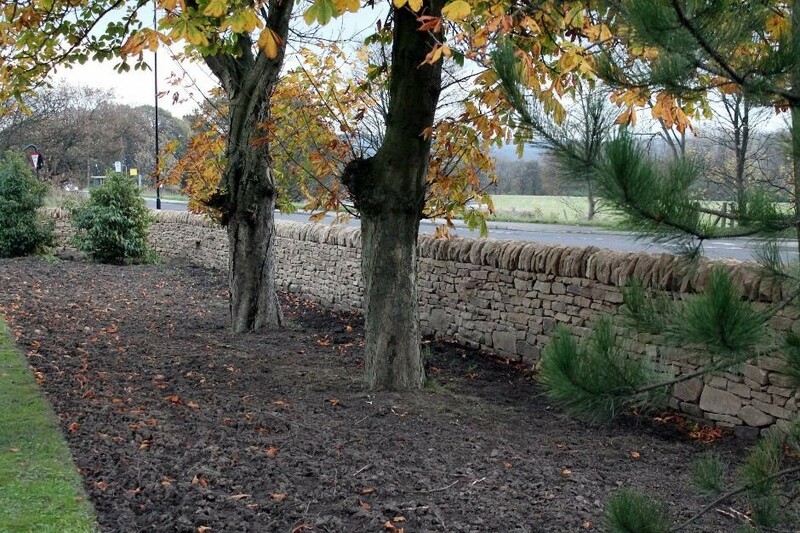 A 60 metre boundary wall that replaced a waterlogged hedge on a roadside. 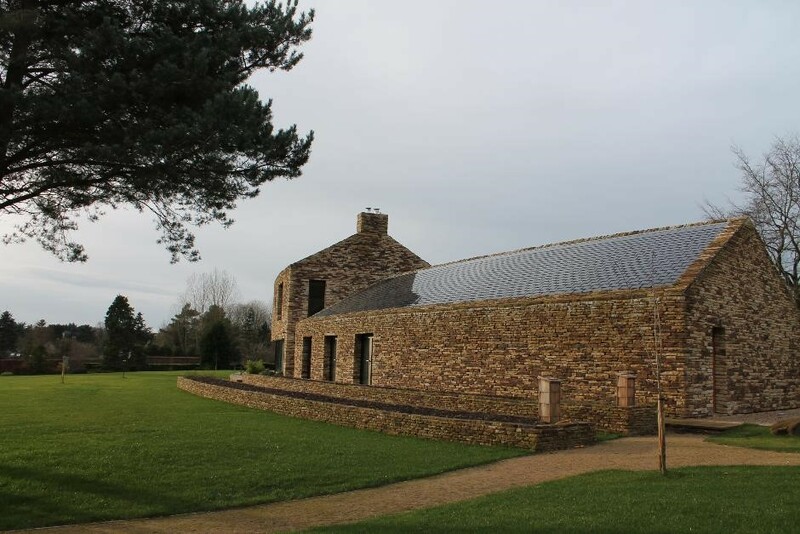 Working with a London based architect we undertook the exterior cladding on a large-scale building from local stone in order to lend it a natural yet contemporary appearance. 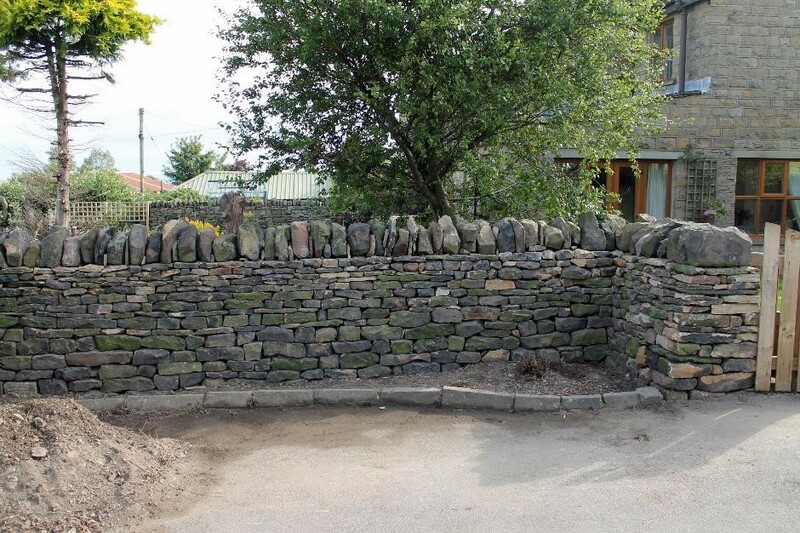 This project has involved restoring the encircling walls of an old mining cottage as well as restoring the gateway area. 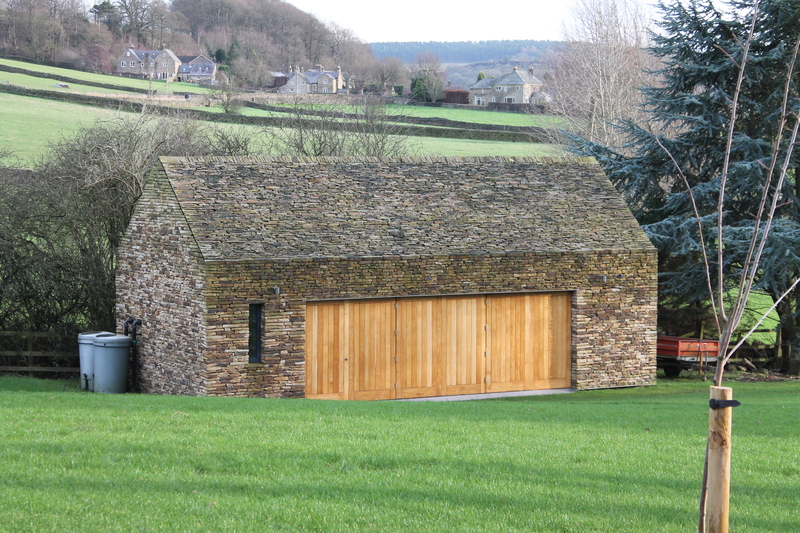 Local dry stone stone was affixed to the exterior of this out-building in order to enable it to blend in with the surrounding landscape. Our in-house stonemason and sculptor Oliver can provide a letter-carving service for signs and memorials for gardens. A sculptor in his own right, he can also design and make high quality stone decorative carvings and reliefs as well as three dimensional sculptures. 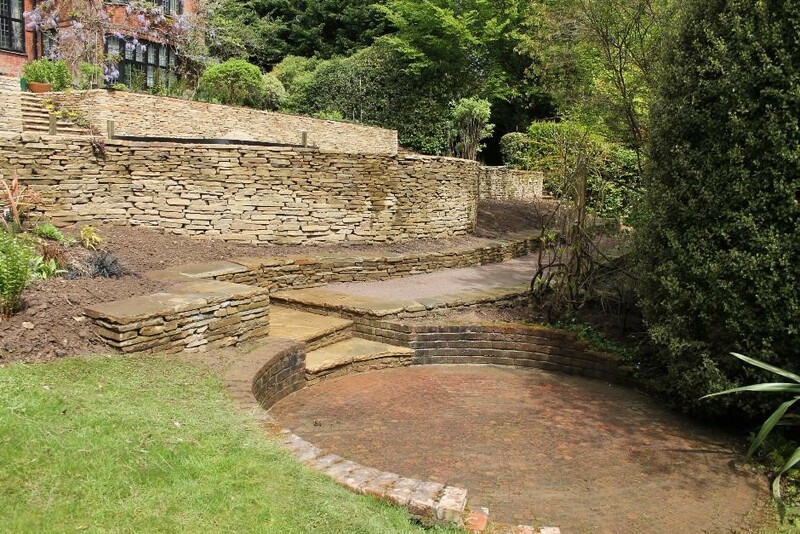 We are experienced and competent at working on mortared and lime mortared masonry garden features and pointing, cropping, and tooling. 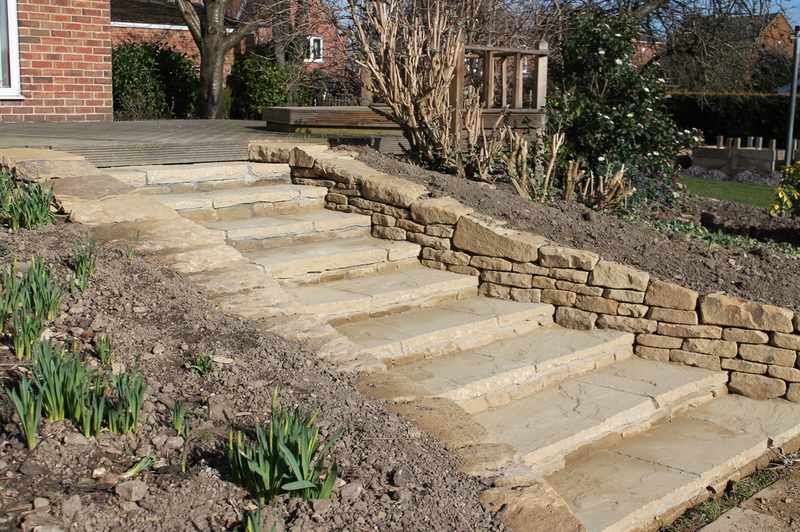 Some recent examples of work on smaller gardens either new builds or restorations.